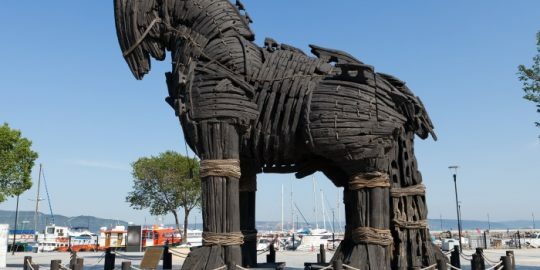 The rise of piracy has helped drive the spike in attacks. 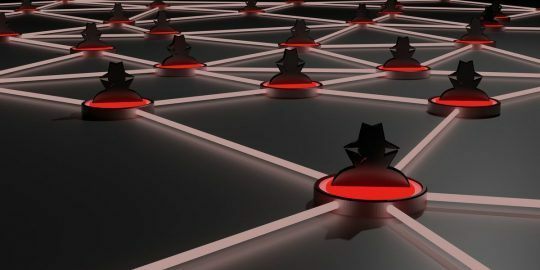 The number of cryptomining attacks increased by more than 83 percent in the past year, with more than 5 million people attacked with the malware in the first three quarters of 2018. 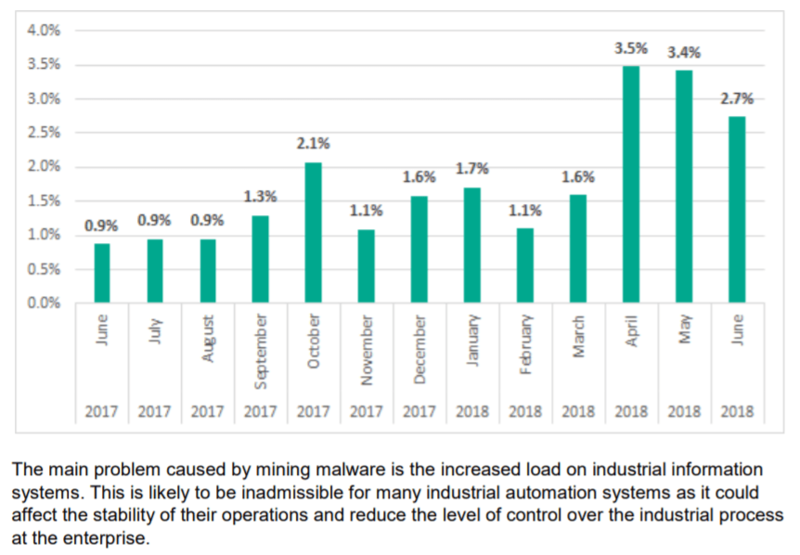 That’s compared to 2.7 million people over the same period in 2017, according to stats from Kaspersky Lab. 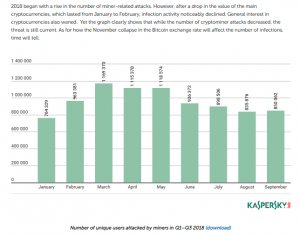 The firm’s research also found that cryptomining attacks increased steadily during the first half of the year, peaking in March, when around 1.2 million users faced an attack. 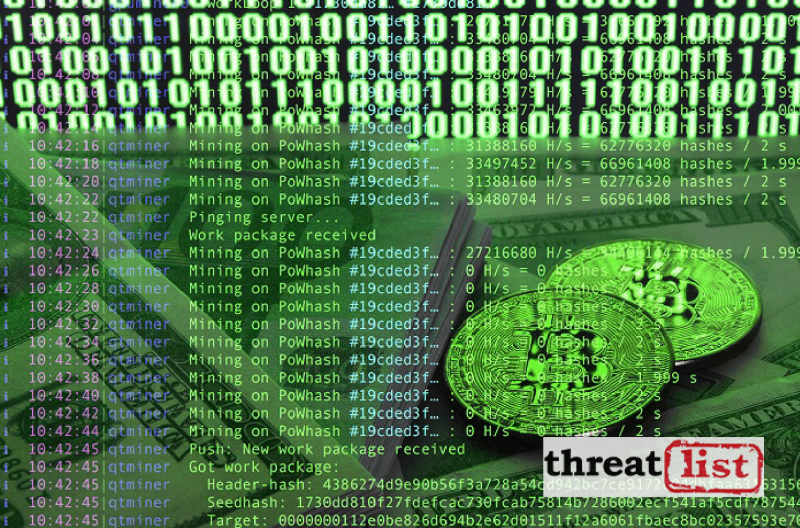 Kaspersky Lab researchers found that drivers behind this ramp aren’t necessarily the most obvious: The analysis revealed that neither cryptocurrency legislation nor the falling cost of power has a significant impact on the spread of malicious cryptominers. 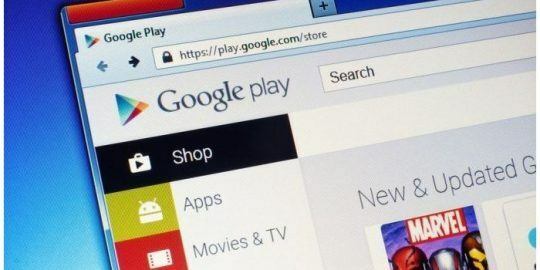 Rather, consumer interest in the installation and use of unlicensed software and pirated content was the major driver behind the crypto-bonanza. 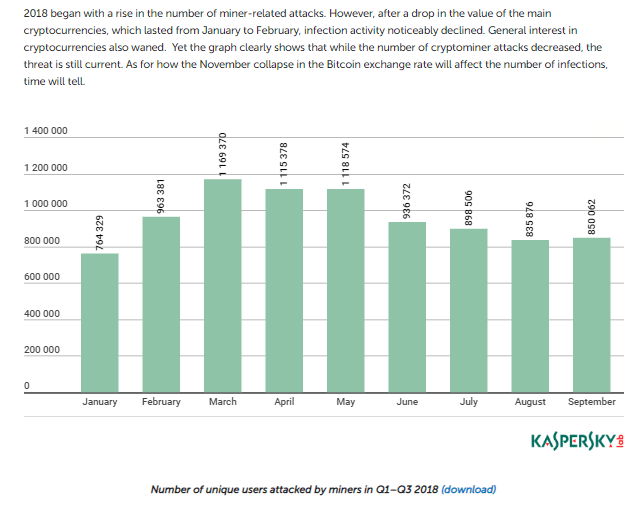 The analysis also uncovered that the share of miners detected out of the overall number of threats seen grew as well, from 5 percent in 2017 to 8 percent in 2018; and, the total number of users who encountered mobile miners spiked significantly, increasing by more than five times from 1,986 users in 2017 to 10,242 in 2018. 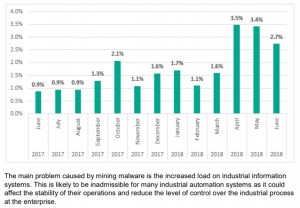 Hidden mining software was very popular among botnet owners too; telemetry on files downloaded by zombie networks showed a boom in cryptominers for the first quarter; they represented 4.6 percent of the total number of files downloaded by botnets. 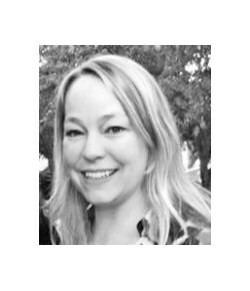 For comparison, in Q2 of 2017, this figure was 2.9 percent.